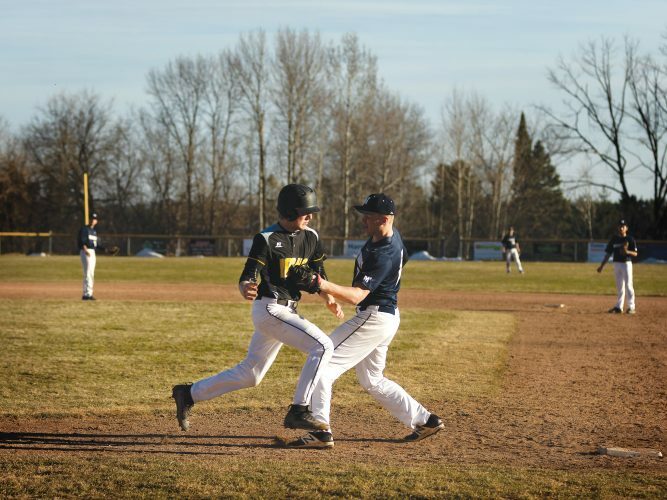 BARK RIVER — Another game, another walkoff victory for the Bark River Harris baseball team. Sam Hall’s RBI single in the bottom of the seventh inning scored Kadin Mustafa with the winning run in a 5-4 win Wednesday against visiting Norway. Hall had a big game, going 3 for 4 with four RBIs. Logan Heim collected three hits and scored two runs, and Ryan Arndt and Mustafa each had a pair of hits in the makeup game from Tuesday. Matt Richer pitched the first four innings and gave up four hits, one run, two walks and two strikeouts. 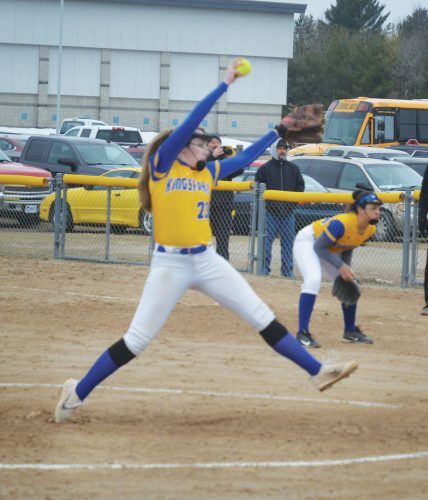 Arndt picked up the win with two strikeouts in the seventh inning. BR-H squandered a 4-0 lead as Norway scored one run in the fourth, two in the fifth and one in the sixth to tie the game. Trey Doda, who went 2 for 3, pitched the first six innings for the Knights. He gave up eight hits, three walks and struck out eight. Micah Wilson suffered the loss in relief in the seventh after allowing a pair of hits. Adam Faull and Wilson each had two hits for Norway. The Knights play at Negaunee on Thursday.